First of all: please vote. Okay, now that we have that out of the way: My family voted last week, as we usually do, sitting around the dining room table after dinner with the voter's pamphlet and our ballots, pointing at the ridiculous pictures ("Look, a pirate's running for Representative. Awesome! "), decoding the screamy endorsements then dropping our ballots off at the local public library. 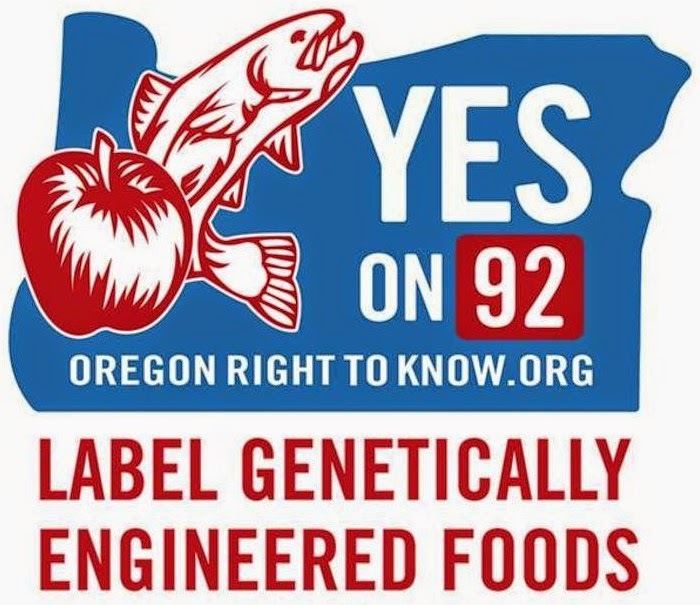 So now I'm going to jump into the fray and tell you why I voted for Measure 92 to require labeling of products containing genetically modified ingredients. Luckily we only watch television shows online, so aren't subjected to the overwhelming barrage of ads talking about how the earth is going to spin backwards on its axis and life as we know it will end if the measure does or does not pass. (Though the barrage of ads for pharmaceuticals, cars and cleaning products have nearly the same deadening effect.) And since I'm not going to out my family members here, I'll just talk about my own reasons. My first reason is, of course, a selfish one. I want to know what goes into the food I buy and feed my own family. For me, labeling will help me make decisions about which products I want to buy and which I'd rather not purchase. Labels like "certified organic" and certification from the Non-GMO Project help me to know what I'm thinking about buying, but getting those certifications is voluntary and costs a lot of money. Companies that don't want to disclose that information simply don't have to, hiding behind other labels like "natural" or "sustainable." Now, my own feelings about what I feed my family shouldn't be the standard for the rest of the world (though everyone would be so much better off if they'd just listen to me), but, as is pointed out in a Washington Post article titled "The GMO Debate: 5 Things to Stop Arguing About," there's my concern that the use of genetically modified crops in agriculture has caused an increase of tsunami-like proportions in the use of pesticides, and that "we need to start building more transparency into our agricultural system so consumers can vote with their wallets for the kind of system they want to see." Amen. Further, an article by Tom Philpott in Mother Jones magazine said that in a just-released paper published in the peer-reviewed Environmental Sciences Europe, by Chuck Benbrook, research professor at Washington State University's Center for Sustaining Agriculture and Natural Resources, "GMO technology 'drove up herbicide use by 527 million pounds, or about 11 percent, between 1996 (when [Monsanto’s] Roundup Ready crops first hit farm fields) and 2011.'" The article continues: “But then weeds started to develop resistance to Roundup, pushing farmers to apply higher per-acre rates. In 2002, farmers using Roundup Ready soybeans jacked up their Roundup application rates by 21 percent, triggering a 19 million pound overall increase in Roundup use." And “by 2011, farms using Roundup Ready seeds were using 24 percent more herbicide than non-GMO farms planting the same crops," Benbrook is quoted as saying. By that time, "'in all three crops [corn, soy, and cotton], resistant weeds had fully kicked in,' Benbrook said, and farmers were responding both by ramping up use of Roundup and resorting to older, more toxic herbicides like 2,4-D."
All those pesticides don't just disappear in a puff of non-toxic smoke. They're seeping into the soil and the groundwater, washing into our rivers and streams, being blown by the wind and carried by birds, insects and passing traffic and ending up in the oceans. Not to mention that genetically modified crops can cross-pollinate with organic crops of the same species, potentially costing organic farmers their certification, as well as a loss of income from that contaminated crop. If I can help to stem this tide of pesticides and other damages by filling my grocery bag with products that don't contain genetically modified organisms, then I'd like to do that. But first those products would have to be labeled, wouldn't they? 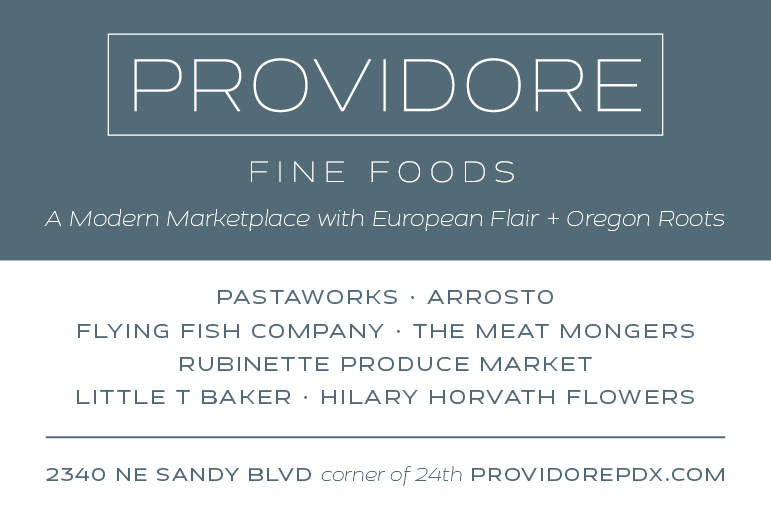 "More Money, Fewer Facts: Final Week of Oregon's GMO Labeling Race" by Hannah Wallace truth-checks some claims being bandied about in commercials and materials. Top photo from Oregon Right to Know. getting those certifications is voluntary and costs a lot of money. Companies that don't want to disclose that information simply don't have to, hiding behind other labels like "natural" or "sustainable." Quoting your post (above), this is the reason I don't agree with you! If the consumer wants this info, only buy products that you trust! Don't foist the label, and the associated costs, on those of us who either disagree, or simply don't care. The consumer needs to drive the marketplace, not the government!! !The merchant can voluntarily label his product if he complies with the standard (and yes, I agree there should be STANDARDS! )and if it is profitable for him to apply that label, but don't force the labeling. I think consumer pressure, and supplier response will be what it takes.